← Sark Celebrations of 450 years of Colonisation. 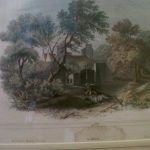 An Old Print of St Ouens Manor, Jersey, Channel Islands. St Ouens Manor, Jersey, Channel Islands UK.